The mega IPL 2018 Auction is scheduled to be held on 27th and 28th of January in Bengaluru. 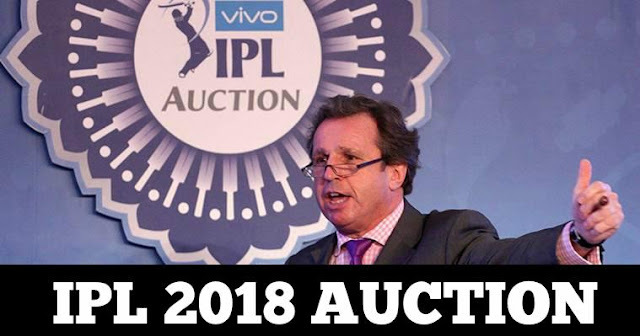 Dates for the IPL 2018 Auction was finalized by the IPL Governing Council meeting on 6th December. As at IPL 2018 auction most of the players will be in the pool of auction as maximum five players can be retained according to the new retention policy. a senior BCCI official told PTI on Tuesday. Teams have to submit their retention list until 4th January and the Board of Control for Cricket in India (BCCI) will make the players to be auction list public on January 18. This year auction purse is increased to ₹80 crore from ₹66 crore while each franchise has to use a minimum of 75% (₹60 crore) from the auction purse at the end of the two-day auction. And also each franchise can have a maximum 25 member team. While retaining of players and Right to Match (RTM) are combined that means a total of five players can be retained which include two Right To Match cards.